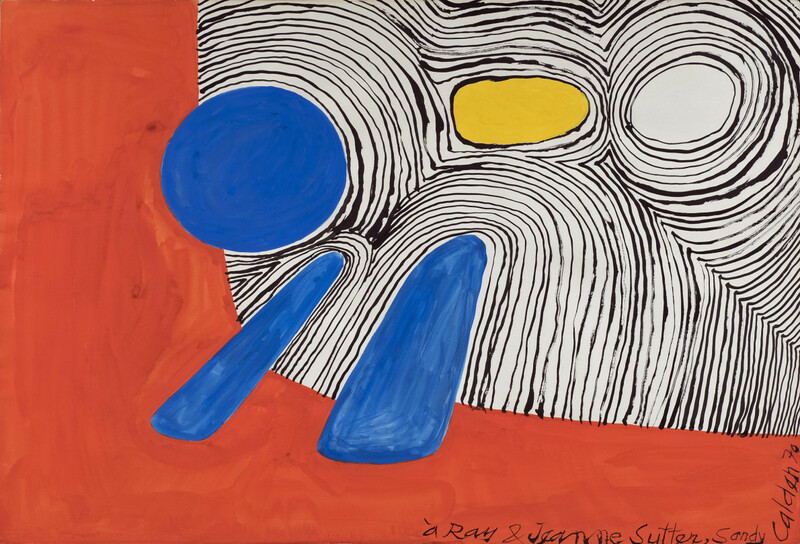 This lyrical painting by Alexander Calder was made in 1970, a year after the artist’s magnificent new studio ‘Le Carroi’ was completed in the small village of Saché in the Loire Valley. Establishing himself in this idyllic region of France during the 1950s, Calder quickly became a valued member of the Saché community as he hired local craftsmen and commissioned the nearby Tours factory to help construct his famous mobiles and stabiles. 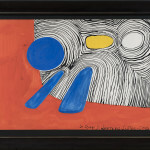 Calder often dedicated works to close friends and colleagues. 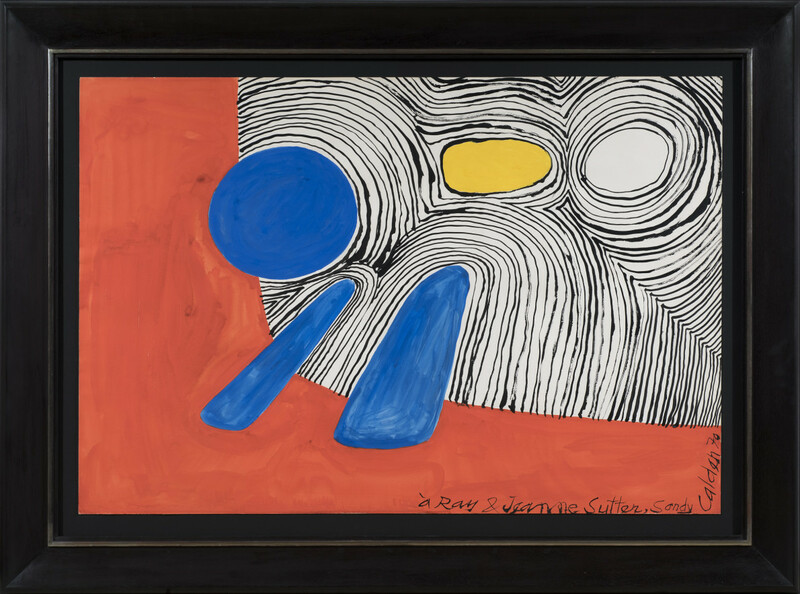 In this particular case, the inscription reveals that ‘Sans titre’ was gifted to Calder’s direct neighbours in Saché, the artist Ray Sutter and his wife Jeanne. 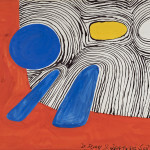 Sutter had first moved to the Saché valley after the liberation of Paris where he took inspiration from the Touraine landscape in his radical designs for stained glass and abstract painting.